For sale is one (1) set of ten (10) Apple Johnny Appleseed Scout SWAP or Craft Kits. Each kit contains all the supplies necessary to make one SWAP: foam shape, wood beads, waxed cord, felt, split ring, and safety pin. JUST ADD SCISSORS. Use these SWAPs to celebrate Johnny Appleseed Day or a fall harvest event. 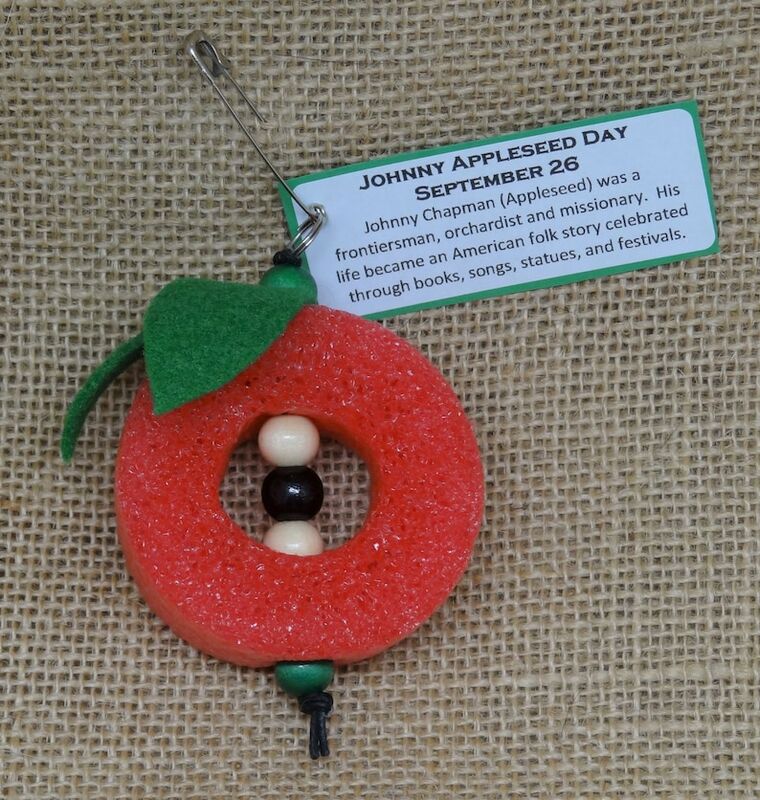 Johnny Appleseed Day is celebrated every year on his birthday, September 26. YOU WILL RECEIVE TEN (10) KITS.